The major challenge you will face not on developing RESTful web services but on designing REST API. It can be tricky even for experienced web developers as there is no standard defined for how you should design your REST API. There are a lot of advice available online, but the more you read, the more you will confuse yourself. The classic example of this is the PUT vs POST in REST API. Some people advocates PUT for creating resources while other will tell you to only use PUT for updating resource and POST for creating resources. You must have a solid understanding of HTTP to take the decision yourself. When it comes to developing RESTful Web Services in Java, the Java ecosystem provides a standard set of API, known as JAX-RS to help you develop RESTful web services. There are many good implementations of this API is available e.g. Restlet, Jersey, Apache CXF, and RESTEasy, which you can use to kick start your work. Here is my collection of some of the best books to learn both REST API concepts and how to develop RESTful Web Services using Java Programming language and technologies like Spring framework. The list contains books which are suitable for both beginners and experienced Java web developers. It will also help you to design your REST API better by following the tried and tested best practices and avoiding mistakes which cost you later. 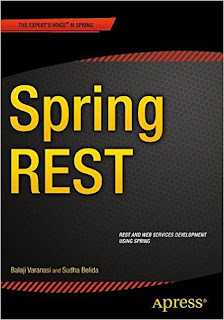 This is one of the best books if you want to learn how to develop RESTful Web Services using Spring framework. Since Spring is the most popular and de-facto framework for developing Java web application, it makes a lot of sense to develop RESTful web services using Spring framework e.g. by leveraging RestTemplate class. This book will provide you all the necessary details you need to develop RESTful web services in Java using Spring. This is another great book to learn how to develop RESTful Web Services in Java. If you’ve ever done any Java web development then you know that it can be complex and sometimes downright insane. The Java Restlet framework provides the implementation of JAX-RS which makes developing RESTful web services easier in Java. 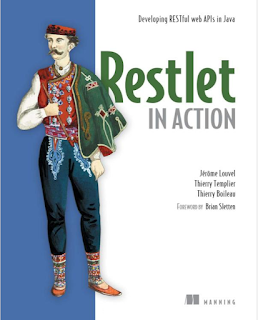 The Restlet in Action is one of the most practical books you’ll find on Java REST development. The framework is rock solid and this book is the perfect to learn Restlet and develop RESTful Web Services in Java. This is a great book to learn and common technologies and best practices for building scalable RESTful web services. You’ll learn a lot of best practices with real world PHP code examples. But you’ll also get to read common mistakes, bugs, and anecdotes of past experiences from the authors. These anecdotes come with solutions and lessons learned in the context of API development. Junior developers might feel this book a little bit advanced but it is one of the must read for advanced web developer particularly if you’re serious about REST API design and development. The only drawback of this book is that code example are given in PHP and not in Java or C++, but the concept you will learn are too valuable to overcome this language difficulty. 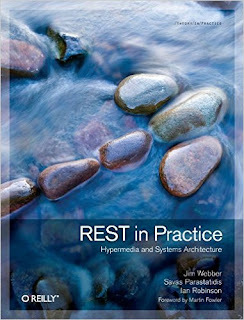 This is the best book to learn the fundamental REST concepts. The author was earlier written the popular RESTful Web Services book, which this book replaces and it is one of the must-read books for beginners to learn about REST and Web Services in general. You will find a discussion about SOAP vs REST architectures, backend languages, and JSON vs XML response formats in this book. This is one of the few books which will teach you practical tips and tricks for you day-to-day job-related RESTful Web Services. 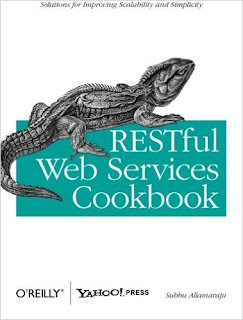 It contains over 100 recipes related to REST API design and developing RESTful web services. Each recipe covers detailed scenarios and offers best practices with code snippets you can implement yourself. It’s very clear and to the point. You will learn about authentication, authorization, security, and testing of RESTful web services in this book. 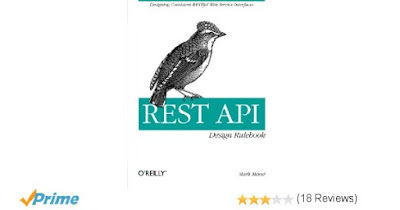 This is another great book for advanced developers who wants to learn to improve and scaling a modern REST API. This book covers RESTful web services in great detail from troubleshooting to adapting the API for all users. The author explains the best scenarios when an API makes sense and helps you avoid common pitfalls during the development process. 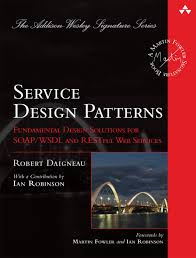 The best thing about this book is that it is full of request/response design patterns and it covers a wide variety of endpoint styles, so you will not only see the theory but also real world examples which complement those points. The REST API Design Rulebook is one of the best books to learn the basic rules of CRUD and HTTP requests for API development. 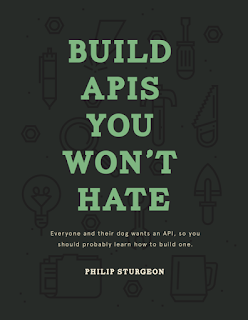 Since you can only design a good REST API if you are familiar with fundamentals and rules, it makes a lot of sense to read this book before designing a REST API. Even if you are an experienced programmer who is familiar with REST you will sure to learn something by following examples in given book, many of which you can directly apply on your projects. The term "microservice" relates to a newer style of application development. It focuses on very small, modularized features which each work on one task very well. Sam Newman wrote Building Microservices as an introduction to this concept. His book is platform-agnostic so he doesn’t care whether you choose REST or SOAP, or if you use PHP or Java. 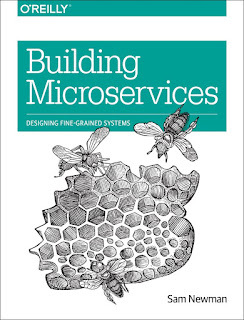 This book covers the entire process of designing and scaling a microservice from the ground up. It goes far beyond API design to include coding patterns, unit testing, and continuous integration. Cheap and super easy to follow, this 90-page handbook walks you through all the basics of designing a custom REST API from scratch. 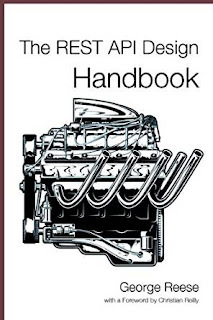 The REST API Design Handbook is perfect for beginners who might not even know what REST or API stands for. You’ll learn the fundamentals of crafting a new API or connecting to an existing one. To practically understand web development you typically need to build projects and learn as you go. This is the beauty of REST in Practice because it offers so many common solutions, design patterns, and more importantly ways of thinking that mesh with practical REST API development. You’ll learn exactly how a REST API functions and what makes it tick. You’ll learn the proper way to architect new RESTful APIs by following diagrams, charts, and code written in C# and Java. Most online APIs work through the REST architecture. 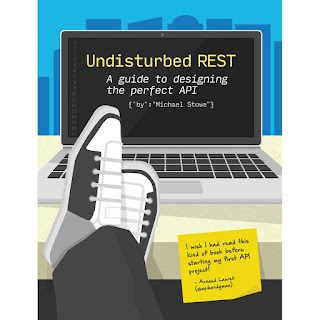 Michael Stowe’s Undisturbed REST is a great beginner’s book for introducing yourself to REST APIs. You’ll learn how they work and how to connect into other APIs with live code examples. You will also get valuable tips for designing your own API from scratch. It may not seem like a detailed book on API development, but it’ll give beginners a lot to start with. 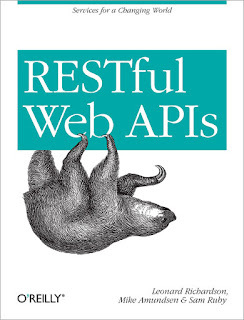 That's all about some of the best books to learn REST API concepts and RESTful web services in general. The list also contains books like Spring REST and Restlet in Action which will teach you how to develop RESTful web services using Java programming language. Thanks for reading this article so far. If you like my recommended books then please share with your friends and colleagues. If you have any suggestion, book, or question then please drop a note and I'll try to find an answer for you.